DeShone Kizer is the Cleveland Browns starting quarterback this week, but a change behind him on the depth chart has been made. By giving up the ghost and cutting Brock Osweiler, the Cleveland Browns officially moved on to rookie DeShone Kizer as their starting quarterback for this year. But their snake-bitten history at the position means Kizer may not make it through all 16 games unscathed. Cody Kessler entered offseason work as the Browns’ No. 1 quarterback, due to the fact he started eight games and played in nine contests as a rookie last year. Osweiler’s departure made Kessler No. 2 on the depth chart, in theory if not in practice entering the season. The depth chart behind Kizer, unless he is injured during the game of course, is a mere formality going into Sunday’s game against the Pittsburgh Steelers. But the Browns have announced their quarterback pecking order. 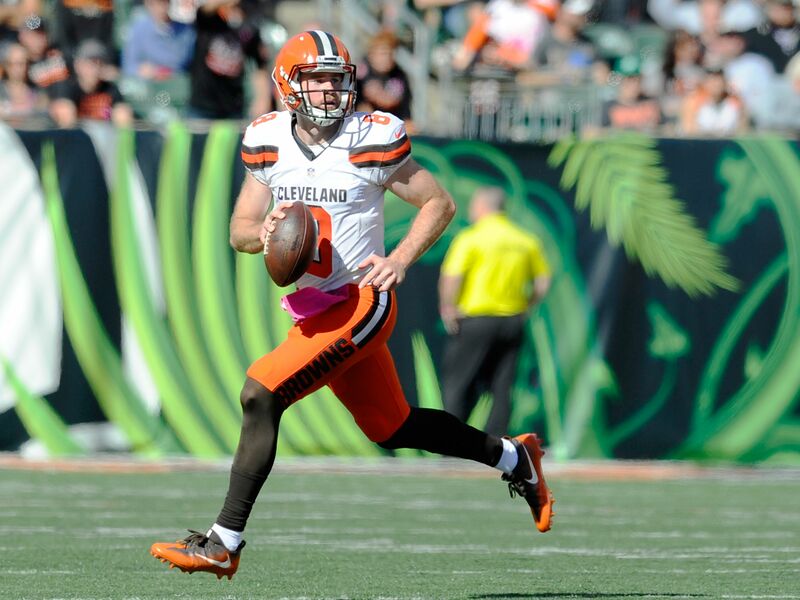 Kevin Hogan has leapfrogged Kessler on the depth chart, and he’ll be Cleveland’s No. 2 signal caller on Sunday. He played in four games himself for the Browns as a rookie last year, most extensively in Week 7 against the Cincinnati Bengals when went 12-for-24 for 100 yards with two interceptions along with 104 rushing yards and a score on the ground. Head coach Hue Jackson previously hinted at making Hogan the primary backup quarterback, and now that has come to fruition for Week 1. On Friday though, Jackson added the situation is not necessarily permanent. Jackson says this is not definitive. Cody Kessler will also have a chance to be a back up QB later on. Anything regarding Browns’ quarterbacks has to be considered a week-to-week proposition, with further evaluation required based on whatever the circumstances are. There was a time this preseason when Osweiler seemed to have a good chance to start the season opener, and he was cut even though the Browns are on the hook for most of his $16 million salary this season. But if something happens to Kizer on Sunday, it won’t catch anyone off-guard when Hogan is first off the bench.